Tool@rrest have teamed up with one of the world’s leading hand tool manufactures to provide a wide range of general and specialist hand tools for industrial use at height, specifically designed with our iconic independently tested Tool@rrest tether and certification. 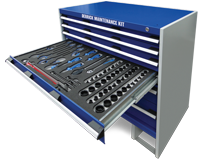 “Available in individual and tool kit form, all Tool@rrest tools are premium of quality for precision work and durability and manufactured to the highest standards of craftsmanship. Ergonomically designed to fit into the workers hand minimising grip strength demands further reducing the risk of a dropped object incident through static muscle fatigue, they are suitable for general and highly specialist work in the onshore and offshore markets. From pliers so screw drivers, sledgehammers to precision tools we can supply them all complete with certified tether and connectors that will prevent dropped tools when working at height. 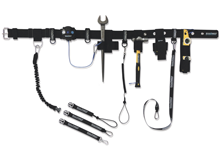 In line with the recommendations of industry bodies such as DROPS, Tool@rrest also offer a number of specific work at height products such as the unique pinned socket and ratchet sets shown here. 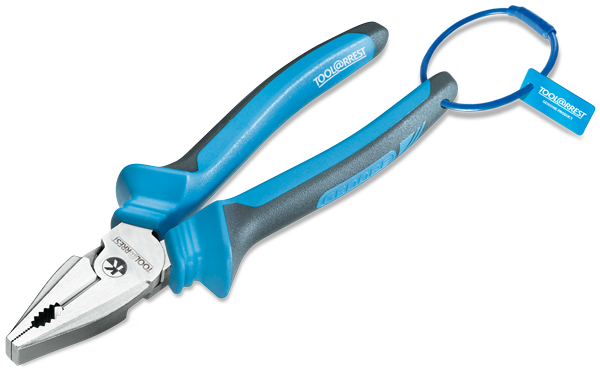 Evidence shows that standard ‘ball release’ ratchets, even with the ratchet tethered and firmly connected to the operator, are frequently involved in dropped tool incidents because the socket can be accidentally released during every day work. In contrast, pinned sockets/ratchets prevent this accidental disconnect and the potentially lethal impact of a falling socket. 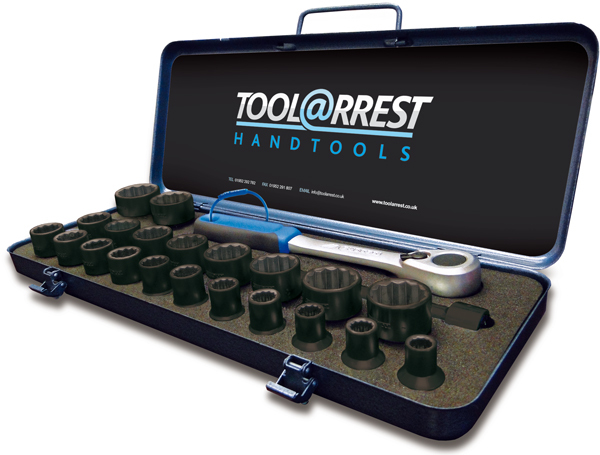 To complements our ratchet systems, we have recently partnered with one of the world’s finest manufacturers of fixed and variable torque wrenches to create an exclusive Tool@rrest series of pinned head torque wrenches, featuring robust reversible ratchets and pinned heads, complete with a substantial range of pinned sockets to meet almost every application.